Friday saw me taking the Bullet for a 250 mile run around the Elan Valley and back. Most of Saturday was spent in the A&E dept at Sandwell hospital, courtesy of this 'ere leg again. 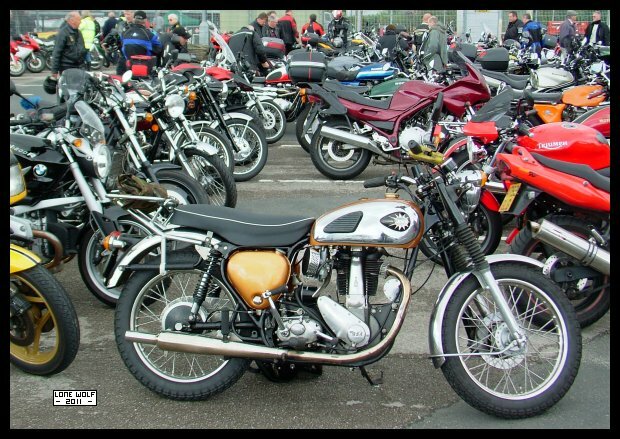 Sunday and it was the Borders Classic Bike Show, held at Cleobury Mortimer. in the direction of the cafe for a good feeding session before making the epic journey back home.